Ever since 9/11, officials are paying much more attention to any identity discrepancies and that is reflected in the increase of clients retaining the Law Office of Frank Marciano for a formal name change application in the New Jersey Courts. A person is allowed to formally change their name in New Jersey as long as they do not have a criminal record or are not trying to avoid creditors. The process of legally changing your name is necessary, especially if you don't have the same name printed on all your official documents. For example, if you need to leave the country, the name on your passport must be identical to the name on your driver's license. "Show us your papers" is becoming a more and more common request of government officials and corporations. 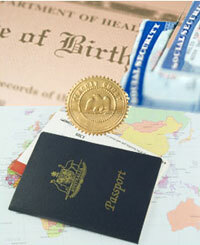 Let us help you put your identity records in order. To set up a consultation concerning any name change matter, contact us online or call us at (201) 656-1000.